President Emmerson Mnangagwa has commuted prison sentence to life for inmates who have stayed on the death row for over 10 years. Announcing the amnesty, Zimbabwe Prisons and Correctional Services Assistant Commissioner Alford Mashango Dube said the President the reprieve was granted "in terms of section 112 (1) (a), (c) and (d) of the constitution of Zimbabwe. "Commutation of the death sentence to life imprisonment is hereby granted to all prisoners who have been on death row for ten years and above." As at early 2017, there were 97 inmates sentenced to death and the country last executed prisoners more than 10 years. Mnangagwa is known for opposing death sentence owing to his experience and subsequent survival during the war of liberation. Also, full remission was granted to all male prisoners sentenced to life imprisonment on or before 28 February 1998 and all female prisoners sentenced to life imprisonment on or before 31 December 2010. 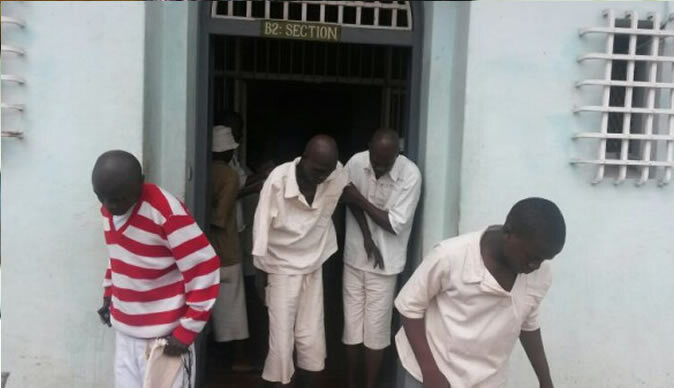 ZPCS applauded the move taken by President Mnangagwa in exercising his prerogative of mercy to some prisoners behind bars. "The exercise has not only gone a long way in decongesting our prisons but has served as a reminder to inmates and society that the purpose of imprisonment is founded on the pretext of reformation than retribution," Asst Commissioner said. He added: "It is now left to society to ensure that those released reintegrate safely and well in their respective communities." Pardoned prisoners fall into 11 categories. The first category is of all convicted female prisoners who were granted full remission of the remaining period of imprisonment "regardless of the offence committed, save for those sentenced to life imprisonment and to death." In the second category all juveniles were granted full remission of the remaining period of imprisonment. These were pardoned irrespective of the offences they committed. All prisoners sentenced to imprisonment for a period of 36 months and below, and have served a quarter of their term were granted full remission full remission for the remaining period of imprisonment. Mnangagwa also pardoned all terminally ill inmates who are unlikely to survive their prison terms. Amnesty is granted to those who will be certified by a Prison Medical Officer or a Government Medical Officer. Also granted amnesty are prisoners confined to the open prison. "This category consists of prisoners who as a result of good behaviour and a genuine desire to reform whilst in closed prison have been selected for the open prison rehabilitation programmes." Full remission was also granted to all prisoners aged 60 years and above, and who have served one third of their sentence save for those sentenced to life imprisonment or death. Prisoners convicted of stock theft and have served a third of their sentence were also granted full amnesty. Asst Commissioner Dube implored communities to embrace returnees. "We call upon all stakeholders including families, churches, after care groups, business community and society at large to facilitate the ex-offenders' reintegration." He also urged beneficiaries of the presidential pardon to respect the amnesty by refraining from further committing crimes resulting them in finding their way back to prison. "We expect them to live as law-abiding citizens if society is to trust and embrace them."